“And your Lord inspired to the bee, “Take for yourself among the mountains, houses, and among the trees and [in] that which they construct. Then eat from all the fruits and follow the ways of your Lord laid down [for you].” There emerges from their bellies a drink, varying in colors, in which there is healing for people. Indeed in that is a sign for a people who give thought?” [Qur’an: Chapter 16, Verses 68-69]. We’ve always wonder that how bees manufacture honey. After some research, it was found that bees start making honey, their food, by visiting flowers. The collect a sugary juice called nectar from the blossoms by sucking it out. They store it in their especially created bag attached to their stomach, which is exactly mentioned in the Quran. If we consider this act in humans, they wander around the world to gather knowledge and create opportunities for the betterment of their lives. 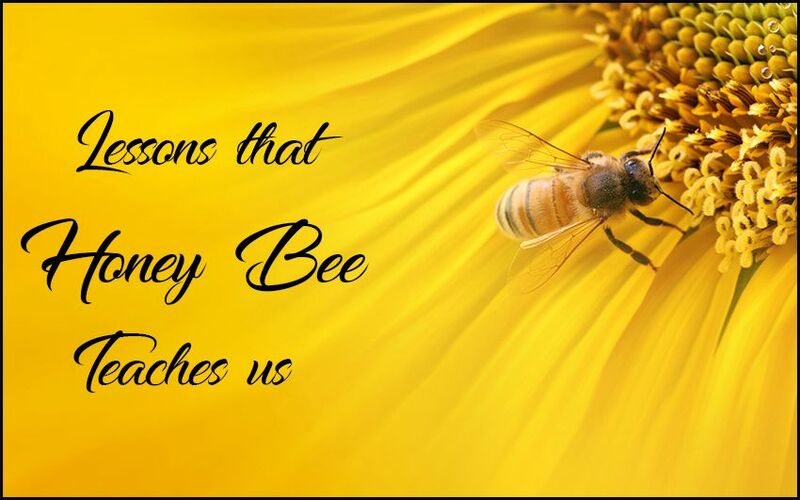 They simply collect the nectar in shape of knowledge from different sources like honey bees, and use that knowledge to create opportunity for the betterment of their life and after that it benefits others just like honey bee makes his food first and then produces honey from which humans get benefit. Honeybees making of honey is totally a team work. When they get their nectar-bags filled with enough nectar, they fly back to their hives. They pass the nectar through one another, all the bees one by one chew the nectar then bees store the honey in the honeycomb cells, which are like tiny jars made of wax. The honey is still a bit wet, so they fan it with their wings to dry it out until it becomes stickier. When it’s ready, they seal the cell with a wax lid to keep it clean.